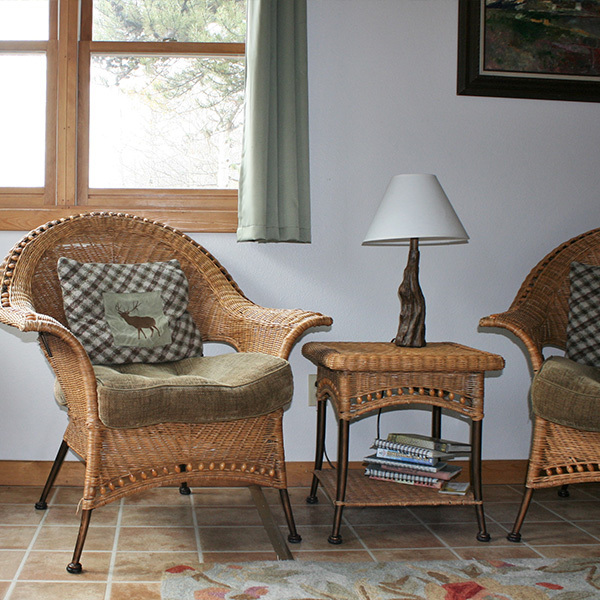 On the creek side of the Lodge, this cozy cabin is a perfect getaway for just two people. Imagine sitting on your front porch and watching the antics of the hummingbirds or enjoying a small campfire in the evening under the starry, starry sky. East facing, the Prospector porch will lure you out to sip your first cuppa in the morning while you enjoy the peaks blushing a rosy pink with the rising sun. 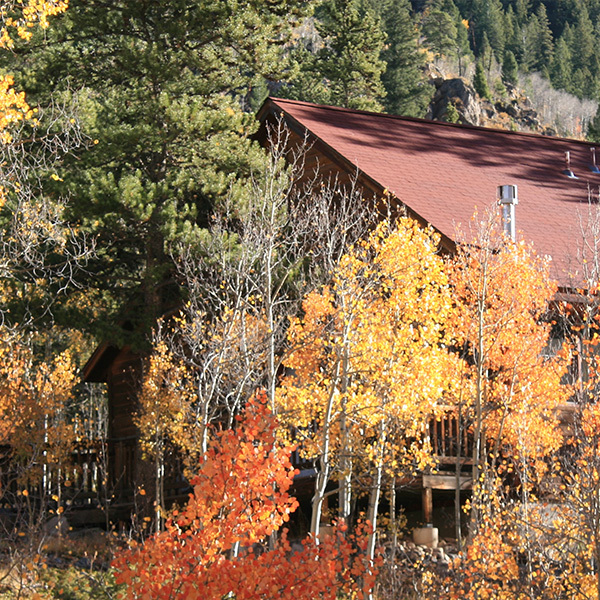 Stay in Prospector cabin and use it as a home base while you “bag a couple of 14ers”; trailheads for La Plata or Mt. Elbert are near by and by driving to the adjacent valleys you’ll find access to Massive, Oxford, Belford, Missouri, and Huron. All wonderful mountains over 14,000 feet high just waiting to be climbed. 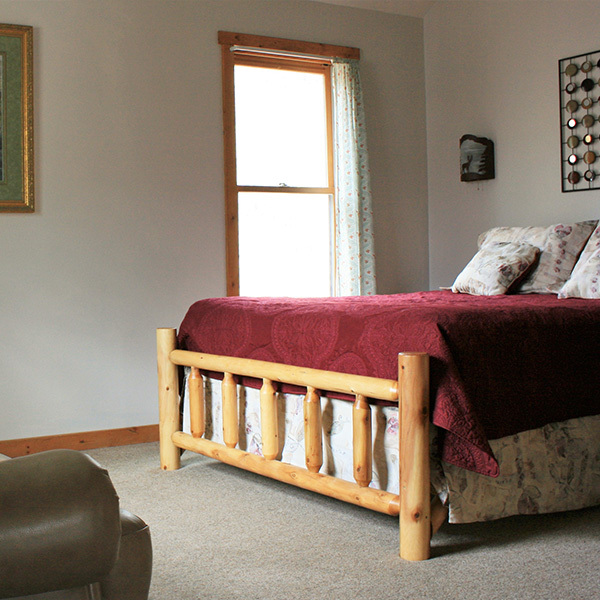 This cabin has one bedroom with a queen bed, 3/4 bath, living/dining/kitchen area, DirectTV. Accommodates a maximum of 2 people. 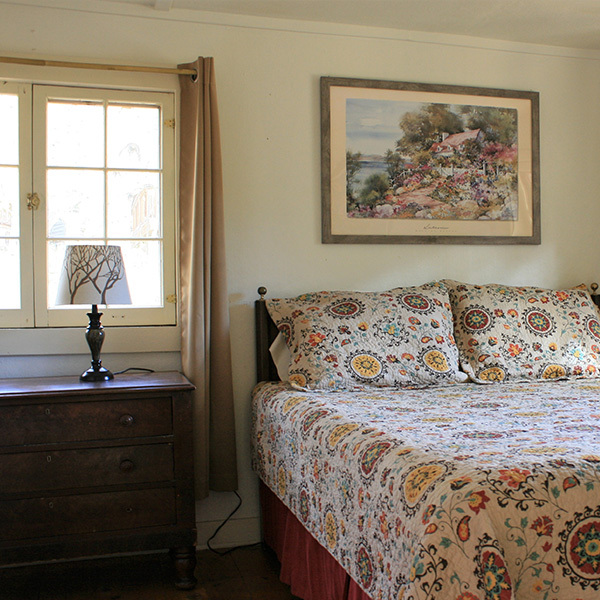 This cabin has 1 bedroom with queen bed, full bath, living/dining/kitchen area. Accommodates a maximum of 2 people. Waterwheel cabin is set into a hillside of aspen and pine woods. With Black Cloud Creek babbling out back, when you walk around to the small sitting area behind this cabin you are transported to another world. Build your campfire in the ring and enjoy the dancing flames as you listen to the creek rushing by. The wonderful effect is enhanced by the presence of an old waterwheel leaning drunkenly on the opposite bank of Black Cloud creek. 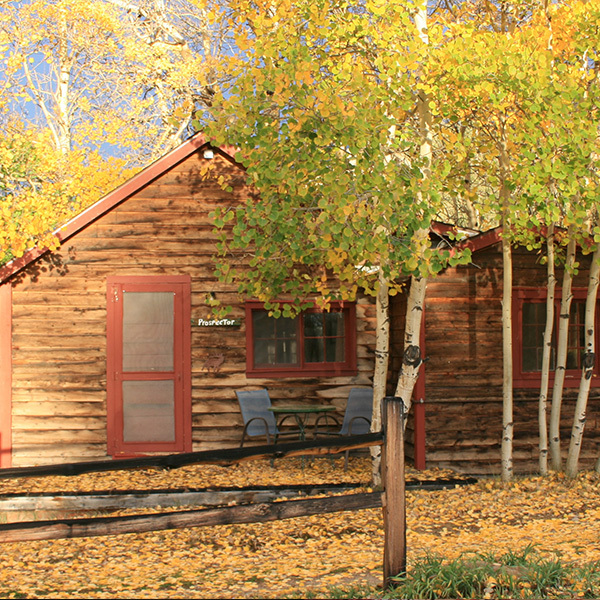 The aspens, whispering and quaking with each breeze, will complete your sense of total escape from your everyday world. 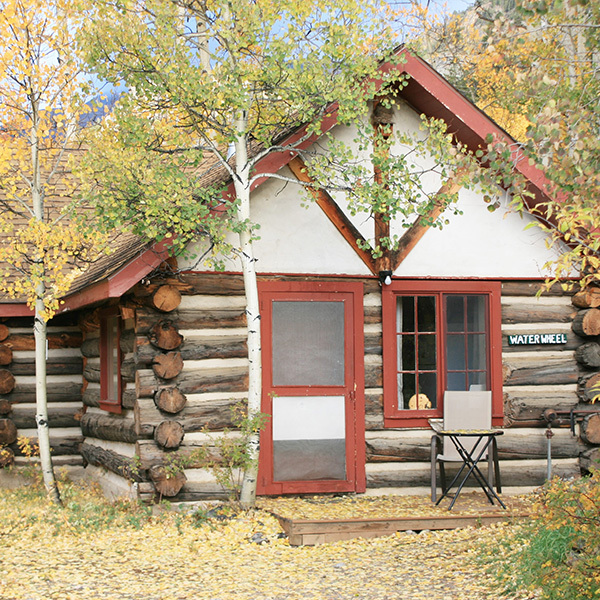 So if you are set for an unforgettable vacation, choose autumn when this cabin sits in a golden glow of yellow aspen leaves. The effect is truly unforgettable. Rinker is the west half of a duplex built in 2000. 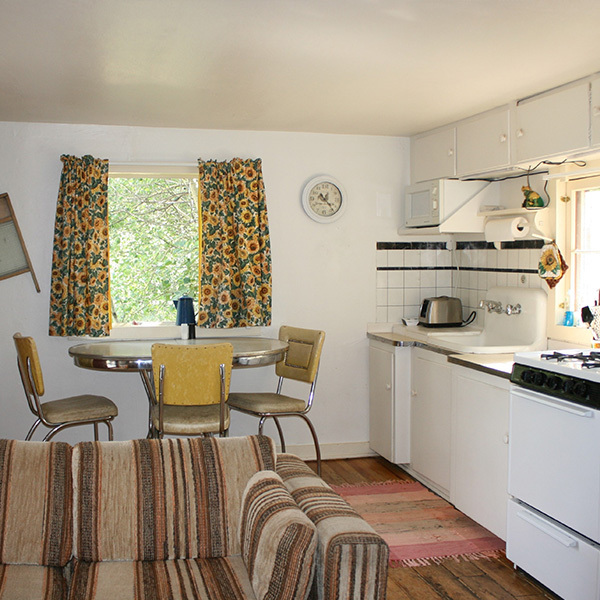 It sports a west deck, perfect for watching the sun set at the top of the valley, or you may sit inside and enjoy the view of Rinker Peak while you toast your toes by the gas log stove. 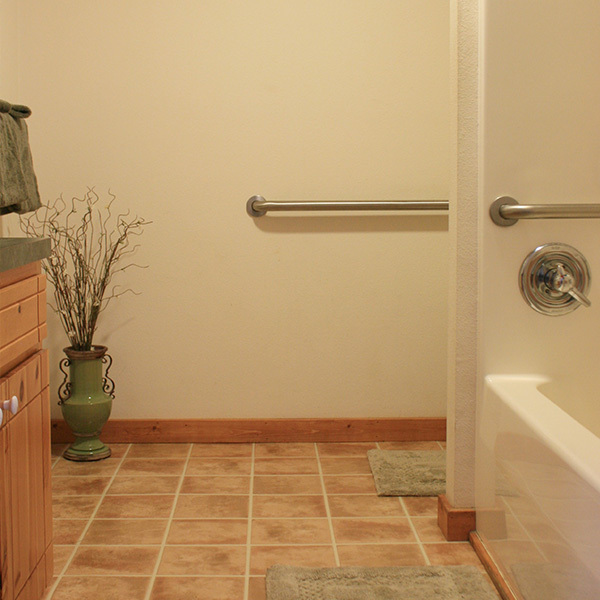 In each of our cabins you will find towels and linens when you arrive. 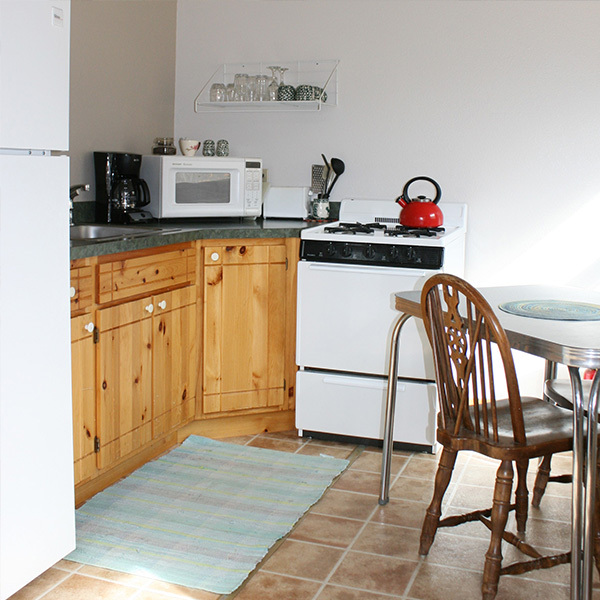 In addition, our kitchens have basic pots and pans, table service, refrigerator, stove with oven, small microwave, toaster and coffee pot. In short everything you need to move in and enjoy a wonderful vacation. 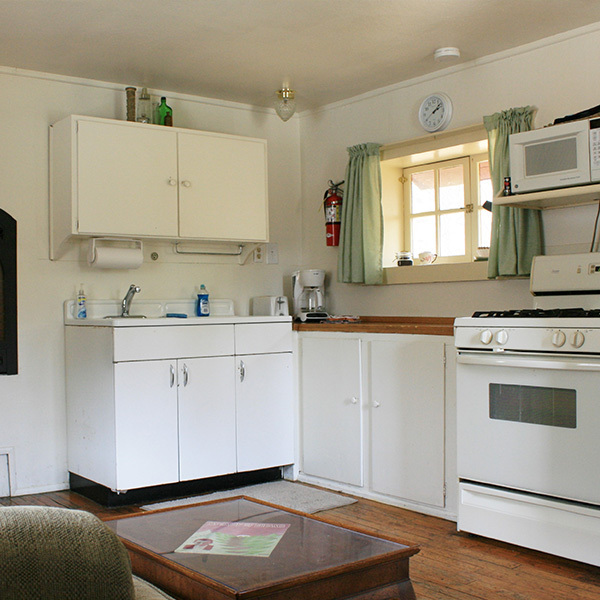 You just bring your food and Rinker cabin becomes your home away from home. This unit is wheelchair friendly. 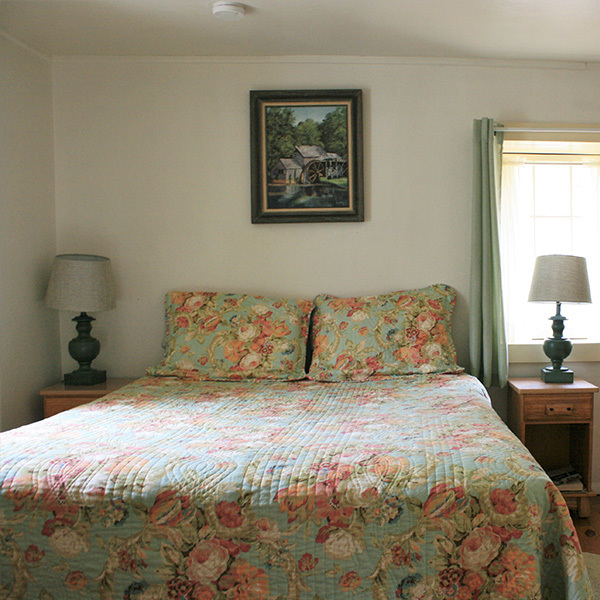 This cabin has a bedroom area with a queen bed with sitting area, full bath, living/dining/kitchen area, with DirectTV. 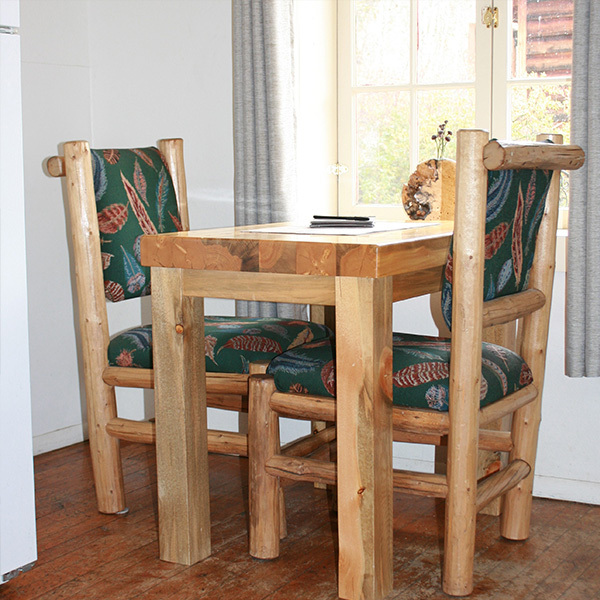 Accommodates a maximum of 2 people.